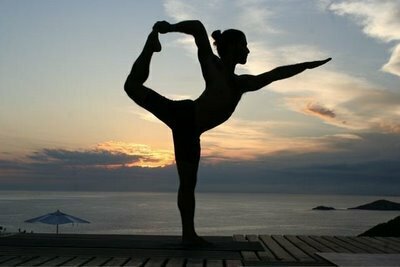 The name comes from the Sanskrit words nata meaning “dancer”, raja meaning “king” and asana (आसन) meaning “posture” or “seat”.Nataraja is one of the names given to the Hindu God Shiva in his form as the cosmic dancer. 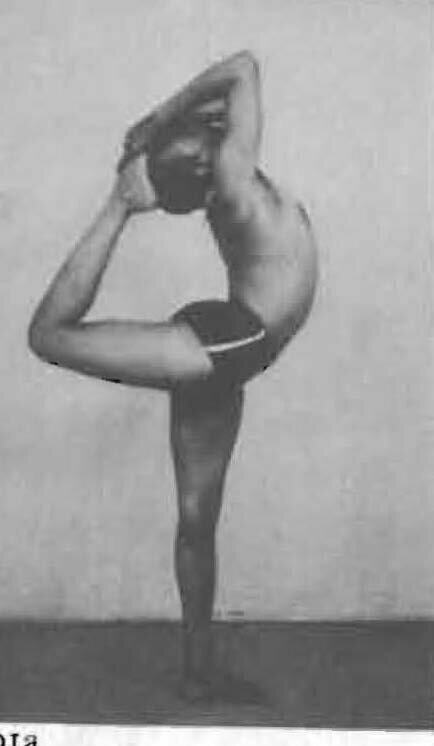 This aesthetic, stretching and balancing asana is used in Indian classical dances. 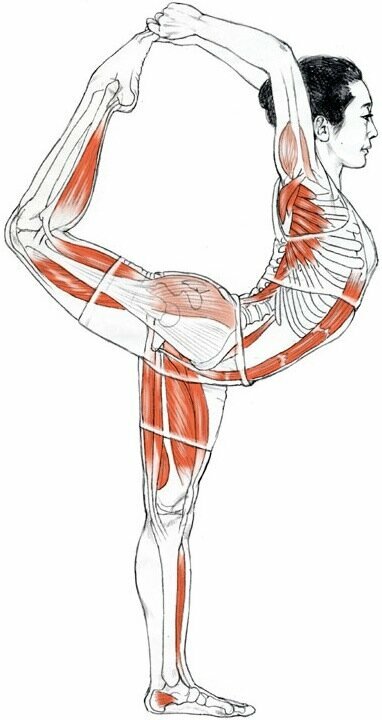 Natarajasana is usually performed as the final pose of a series of challenging backbends. You’ll probably want to release the spine by coming to Ardha Uttanasana (Half Uttanasana), also known as Right Angle Pose, at the wall or reclining twist.